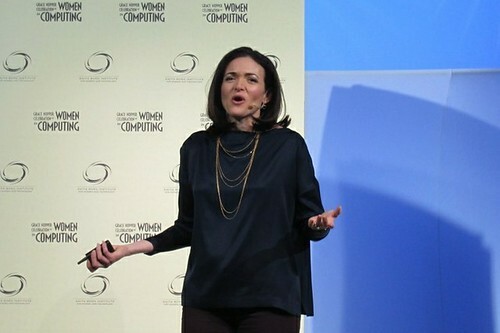 Last night, I listened to KQED’s Public Radio broadcast of the City Arts and Lectures presentation by Sheryl Sandberg (Chief Operating Officer at Facebook, and author of Lean In: Women, Work, and the Will to Lead – published in March 2013) and Condoleezza Rice (former US Secretary of State). The event was held at The Nourse Theater in San Francisco, on 1 April 2013. This is the second time I have heard a long talk by Cheryl Sandberg, who was also the keynote speaker at the 2011 Grace Hopper Celebration of Women in Computing (in Portland Oregon). It was particularly interesting to hear her discussion with the also-remarkable Dr. Rice of Stanford University. After last night’s talk, I was inspired to read Ms. Sandberg’s book, particularly Chapter 5 “Are You My Mentor?” Since I was driving when I heard the radio show and could not take notes, it was good to find that most of the broadcast stories were also in the book. Girls who grew up hearing the Sleeping Beauty fairy tale “…are told that if they can just find the right mentor, they will be pushed up the ladder and whisked away to the corner office to live happily ever after”. I agree with much of what she writes but Ms. Sandberg’s sole context for mentoring seems to be corporate and focused on star performers, company staff who are usually highest-rated in performance reviews. My first few mentoring programs were also in that context, then a friend in Human Resources gave me a copy of the excellent Harvard Business Review 2003 article “Let’s Hear it for B Players” by Thomas J. DeLong and Vineeta Vijayaraghavan, which spun me around. In the much-heralded war for talent, it’s hardly surprising that companies have invested a lot of time, money, and energy in hiring and retaining star performers. Most CEOs find that recruiting stars is simply more fun; for one thing, the young A players they interview often remind them of themselves at the same age. For another, their brilliance and drive are infectious; you want to spend time with them. …But our understandable fascination with star performers can lure us into the dangerous trap of underestimating the vital importance of the supporting actors. A players, it is true, can make enormous contributions to corporate performance. Yet in our collective 20 years of consulting, research, and teaching, we have found that companies’ long-term performance—even survival—depends far more on the unsung commitment and contributions of their B players. These capable, steady performers are the best supporting actors of the business world. After much thought, program design, and discussion with our sponsors and stakeholders at Sun Microsystems, we created additional mentoring programs for rising stars and solid contributors, in addition to the “high potential” programs created first. We also started mentoring programs for staff who were based outside of the USA. Read all about this journey in the 2009 Sun Microsystems Labs Technical Report: “Sun Mentoring: 1996-2009″ by Katy Dickinson, Tanya Jankot and Helen Gracon. “Leaning In” from the book title means “being ambitious in any pursuit.” The Anita Borg Institute (of which I am honored to be on the Advisory Board) is a founding partner of the new Lean In organization. I recommend the book Lean In: Women, Work, and the Will to Lead as a starting place for many interesting discussions. 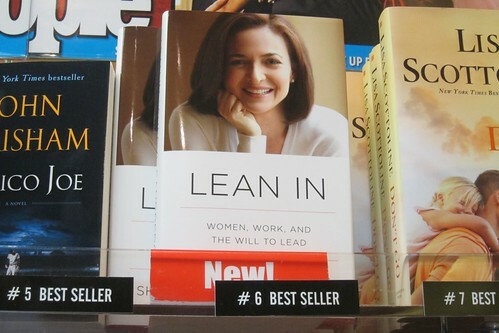 4/17/2013: Lean In is the #1 New York Times Bestseller in “Hardcover Nonfiction” and “Combined Print & E-Book Nonfiction” categories! The latetest mentoring article was very fascinating. While no longer in the work force, I feel this one about the B employees really hit the core of improvement and great encouragement for them.